PARANOID≠CIRCUS has mentioned that they will be absent from their planned performance on 2014-12-29.
ex-ClearVeil bassist HISAYOSHI will appear in a session on 2015-01-12 called THE SPANKERS:【V. 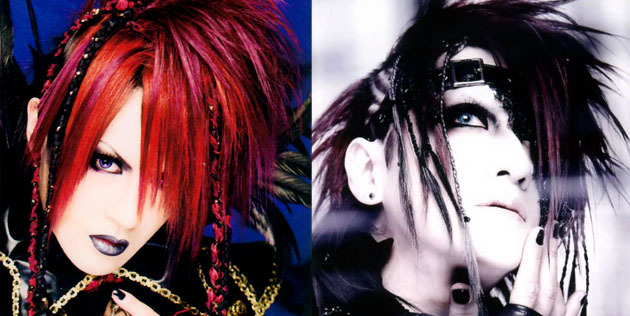 HIRO (ヒロ) [ex-EAT YOU ALIVE] / G. Ryohei (亮平) [ex-EAT YOU ALIVE] / G. tomoya [ex-meth.] / B. HISAYOSHI [ex-ClearVeil] / D. Makoto (真) [ex-EAT YOU ALIVE]】. AiM MaiM first single, new look, and king zeebra events! /Kikangentei project-AiM MaiM (期間限定project-曖ム昧ム-)-/ has announced their first single, [Aimai CUARTET] (曖昧カルテット)!! The live-limited CD will be released on 2014-12-22 and will feature 3 songs. The band has also revealed their new logo and new look (above). ISORA (イソラ) has revealed the session lineups for its celebration of guitarist 空-ciel's birthday. Among others, the ex-vocalist of Cu[be] and ex-members of SUZAKU (朱) (朱) are featured! ex-SIVA guitarist IoRi Minamotono (源 依織) has officially joined Kaya's new band Femme Fatale. Meanwhile, ex-vocalist KAIRI (カイリ) will appear in a session called Bakemonogatari (化物語). Hope And Live, a concert series which benefits those living with HIV and AIDS, will hold the ACT.1 of its 2014 forray later this month. 12012 members Sakai Hiroaki (酒井 洋明) and Enya Tomoyuki (塩谷 朋之) will appear at the event in a special band with ex-KUROYUME (黒夢), ex-FANATIC◇CRISIS, and SPEED-iD members. king zeebra, the label of ex-SUZAKU (朱) (朱) vocalist Itsuki (樹), and Licht Entertainment, the label of ex-NEGA bassist Ray, held their co-sponsored event yesterday at FAN-J twice. Ray, ex-NEGA and now president of his own label(?) Musoukai (無双会), has announced his label's collaboration event with Livqueur Records (label of ex-KALEN (カレン) (カレン) Takaya). ex-SUZAKU (朱) (朱) bassist Kizuna (絆) has announced that his session band ABSOLUTE TERROR.F (アブソリュートテラ.F) will change to a new formal band, ISORA (イソラ) on 2014-03-08. The band will have 4 members and already has 2 original songs. Raychel BAND (れいちぇるバンド) (れいちぇるバンド) has announced the second guitarist for their 2014-02-06 appearance: 【V. Itsuki (いつき) (ex-SUZAKU (朱)) / G. SAN (ex-NEGA) / B. Ray (ex-NEGA) / D. ARU (アル) (ex-Vior gloire) / G. Ao (碧) (ex-paradeis)】. ex-Cu[be] bassist 憂里-yuuri- played support for DearRain at their 2014-01-12 live. SUZAKU (朱) (朱) drummer Karen (火憐) appeared at session copy band event Shinshun!! Otoshidama COPY Kikaku!! ~Konnen mo Douzo YOROSHIKU Onegaiitashimasu!~ (新春!!お年玉コピー企画!! ~今年もどうぞヨロシクお願い致します!~) with unit SHANAKUENPI Munekun (シャナクエンピむねくん). Continual session band Zaidan Houjin Kurojuuji (罪団法人黒十字) (財団法人黒十字) will perform today in a RIKU-less version called Zaidan Hitori Kurojuuji (罪団一人黒十字). At the live, Zaidan Houjin Kurojuuji (罪団法人黒十字) (the normal version of the session) will release a demo CD-R containing a new song. Raychel BAND (れいちぇるバンド) (れいちぇるバンド), the ongoing session band of ex-NEGA Ray, has announced a February performance. This time the lineup features ex-NEGA, SUZAKU (朱) (朱), and Vior gloire members, with an additional member TBA. Personally, it's a lineup that I would love to see as a real band!! ex-CindyKate (シンディケイト) (シンディケイト) guitarist Otake (おたけ) will appear in a session band called Jin no Settai BAND (仁の接待バンド) 【V. TAKASHI (A→Z.) / G. Otake (ex-CindyKate (シンディケイト)) / D. Jin (A→Z.) / G.&B. TBA】 on 2014-02-19 at A→Z. 's sponsored event. ex-SUZAKU (朱) (朱) members will perform at 2013-12-31 New Year countdown event, ALL NIGHT Jikkouiinkai Shusai ~2014 Nenhe no Kiseki to Kiseki~ (オールナイト実行委員会主催 ~2014年への軌跡と奇跡~) at Osaka BRAND NEW. They will perform with Buchiagezu (ぶちあげず) 【V. 樹-Itsuki- (ex-SUZAKU (朱)) / G. 琢弥 (Takuya) (HOLYCLOCK) / G. Kaoru (薫) (HOLYCLOCK) / B. 紅羽-kureha- (ex-PARANOID≠CIRCUS) / D. 火憐-Karen- (ex-SUZAKU (朱))】. king zeebra, the new label by ex-SUZAKU (朱) (朱) vocalist Itsuki (樹)―I think―has announced its second sponsored event. As before, the event will feature ex-SUZAKU (朱), Vior gloire, and NEGA members, including the Shugokusatsu (瞬獄殺) session; so check it out! ex-NEGA guitarist SAN and ex-Vior gloire drummer ARU (アル) will perform in a session band called Jikkentai NEMESIS (実験体NEMESIS) (実験体NEMESIS) 【V. Saica (ex-Reeper) / G. SAN (ex-NEGA) / G. Ao (ex-paradeis) / B. (undecided) / D. ARU (ex-Vior gloire)】 on 2013-12-31 at Ash OSAKA. 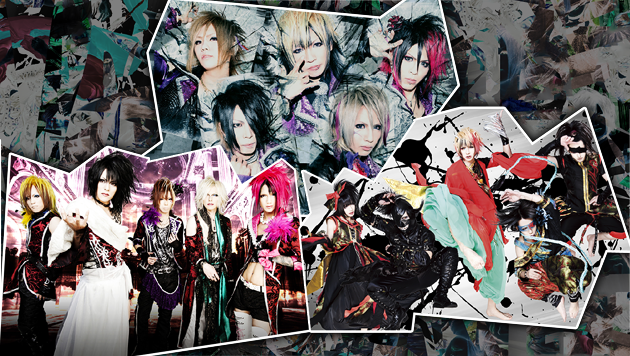 By the way, ex-Dali~LOTMAN (ロットマン) new band 2 Gatsu 22 Nichi (2がつ22にち、せかいはぼくらをしる。) will also perform at that event. ex-KALEN (カレン) (カレン) bassist (and president of label Livqueur Records) Takaya will participate in a session band on 2014-01-05 at OSAKA MUSE. DECIDE, the band produced by ex-NEGA bassist and leader Ray, will also perform in a session at the same event. ex-NEGA guitarist SAN will appear in a session on 2013-11-21 at Osaka RUIDO. The session is called Kuroguro Uuloncha (黒々烏龍茶) 【V. Shion (MILKY EMILY) / G. SAN (ex-NEGA) / G. Ao (ex-paradeis) / B. Nagi (Re:act) / D. minoru (QuaLiA)】. 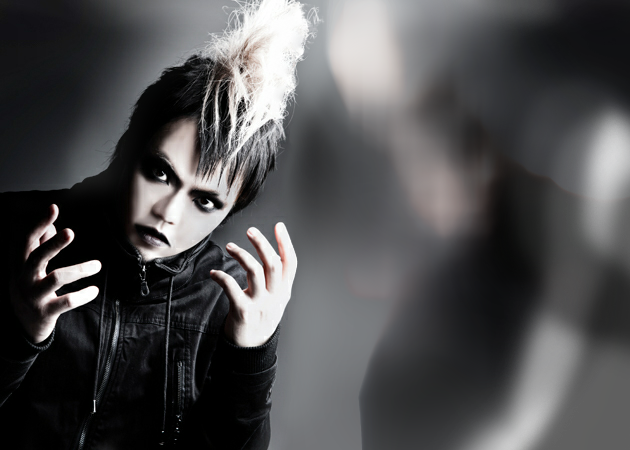 ex-Megaromania vocalist 翠-Sui- has announced his birthday session and birthday sponsored event, to be held in January. Full details will be announced at a later date. ex-Cu[be] vocalist Lara (螺々) will participate in a session band in November. ex-NEGA bassist and leader Ray has recently announced some new activity! First, he's taken on the role of producer for fledgling band [DECIDE]! Furthermore, he's announced the start of his session band, Raychel BAND (れいちぇるバンド) (れいちぇるバンド), with ex-NEGA and ex-CindyKate (シンディケイト) members!! ex-Vior gloire vocalist shall will perform with a session band on August 12th at Livqueur Records' sponsored event Soukyuu no PARABEZUMU (蒼穹のパラベズム). UNDER CODE has just announced that it will host a Halloween party event this year. The event, 地下線マスカレイド (Chikasen /Masquerade/), will be held on October 29th and will feature a handful of label bands—all of which will play under pseudonyms (and, presumably, will dress to match). Additionally, some sort of “Halloween surprise” will occur at the end of the event. It seems that the UNDER CODE PRODUCTION sponsored earthquake charity event, UNITED LINK for JAPAN, was a success, so they've decided to hold a second volume! This new event will be held in June at ESAKA MUSE, and several special acts will appear.